The new 2016 TEA/AECOM Theme Index reveals who soared and who slumped in the attractions industry. Universal soared, Disney slid, and SeaWorld slumped in theme park attendance last year, according to the newly released 2016 TEA/AECOM Theme Index report. 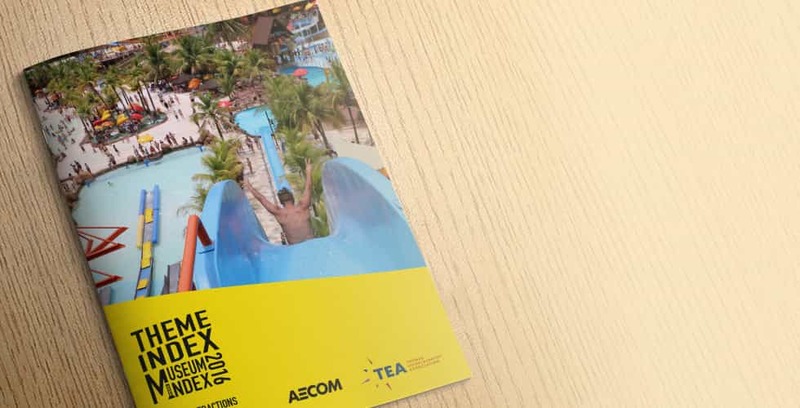 The 2016 TEA/AECOM Theme Index and Museum Index is an annual study of attendance at top theme parks, water parks and museums around the world, compiled by and distributed by the Themed Entertainment Association (TEA) and the economics researchers at AECOM. Since many theme parks (including Disney) do not release official attendance figures, the TEA/AECOM report is considered the industry’s most reliable estimate of global theme park visits. According to the 2016 TEA/AECOM Theme Index, 233 million visits were made to the top 25 amusement/theme parks worldwide last year. That number is down 1.1 percent, driven largely by “anomalies in Asia”; however, visits to the top 20 amusement/theme parks in North America were up 1.2 percent to 148 million guests, driven in large part by increases at Universal’s three U.S. parks. The report also notes that revenues grew even where attendance did not at Disney parks in North America, which means fewer guests are spending more money with Mickey. Walt Disney World’s Magic Kingdom remains the worldwide king of theme parks with 20,395,000 visits, a drop of 0.5% from 2015. The original Disneyland is still number two with 17,943,000 visits, despite a steeper 1.8% decline. Epcot, Animal Kingdom, and Hollywood Studios remain numbers six through eight worldwide, but saw slides of 0.5% to 0.7%, putting them each between 11,712,00 and 10,776,000 visitors. While Walt Disney World experienced a slight slowdown, Universal Orlando sped up with a 4.3% attendance increase at Universal Studios Florida to 9,998,000 visits, and an even bigger 6.5% gain at Islands of Adventure to 9,362,000 visits. That still puts both Universal Orlando parks slightly behind Disney World’s least-popular park, but it does push Universal’s two parks ahead of Disney California Adventure, which slid 0.9% to 9,295,000 visits for 11th place worldwide. The biggest increase among the major parks was at Universal Studios Hollywood, which surged 13.9% to 8,086,000 visits (and 15th place worldwide) in the wake of the west coast Wizarding World’s debut. Finally, SeaWorld Orlando plunged 7.9% to 4,402,000 visits, less than half the attendance of its Orlando competitors; that puts it at the very bottom of the top 25 theme parks worldwide. You can download the entire 2016 TEA/AECOM report at aecom.com/themeindex.